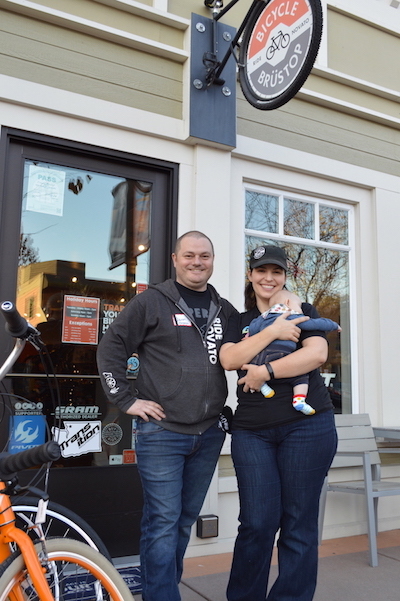 Bicycle Brüstop in Downtown Novato has partnered with the Sonoma County Bicycle Coalition, local fire agencies and other area businesses to offer free bikes to families who lost their homes in the 2017 North Bay Firestorm. Giant Bicycles USA has donated 200 bicycles to families in need, half of which were given out at an event in Highway 12 Winery’s Warehouse on December 10, 2017. In addition to the donation from Bicycle Brüstop and Giant Bicycles, other regional bike shops and businesses donated bikes and helmets in order to help hundreds of families.